18 gauge stainless steel sheet is 1mm thickness sheet,we know stainless steels are defined as ferrous alloys with the addition of at least 10.5% chromium by weight and are essentially low carbon steels containing significant amounts of chromium. It is the addition of chromium that gives this type of steel its corrosion resisting properties. Where to buy 18 gauge stainless steel sheet?This is a very good question,Jaway metal group, founded in 1998, is a professional manufacturer and global exporter specializing in stainless steel sheet/plate manufacture and exportation. Jaway metal,one of the main stainless steel sheet in China. In recent years, winged by rapid merge and expansion, Our well-equipped plant emerged in Dainan, Jiangsu Province,with two Export offices respectively located in Shanghai and HongKong catering to a lager scale of customers from both home and abroad under the banner of supreme service. 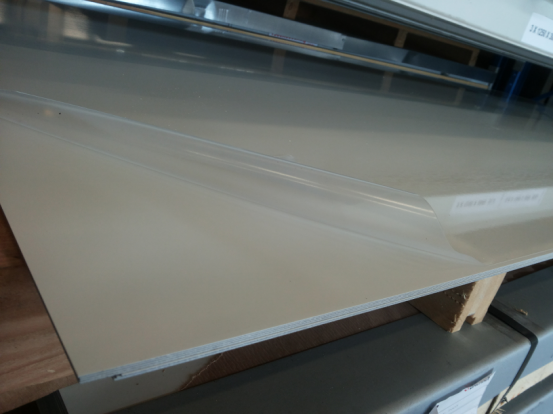 18 gauge stainless steel sheet is used for a huge variety of applications in many diverse industries including nuclear, pharmaceutical, food processing, petrochemical, architecture, and chemical transportation. Many sicks are made of the 18 gauge stainless steel sheets. Jawaysteel corporation ,professional manufacturer with nearly 20 years experience in China,specializes stainless steel sheet/plate in all grades. Jaway metal,warmly welcome friends and cooperators from all over the world!If you are interested in any of our products, or wish to place a customized order, please contact us. sales@jawaysteel.com.